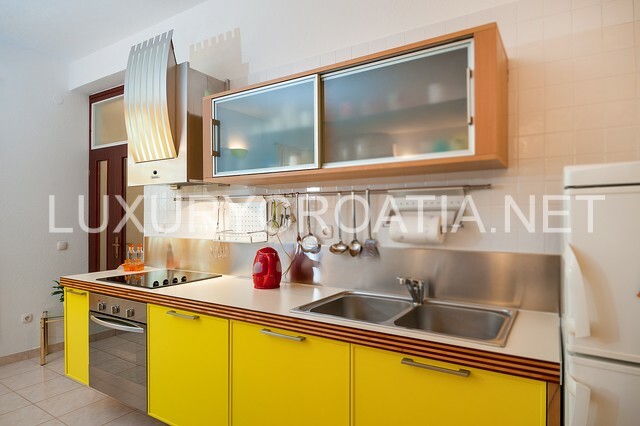 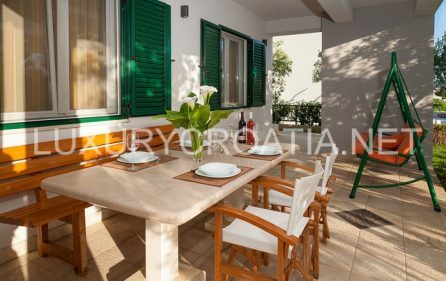 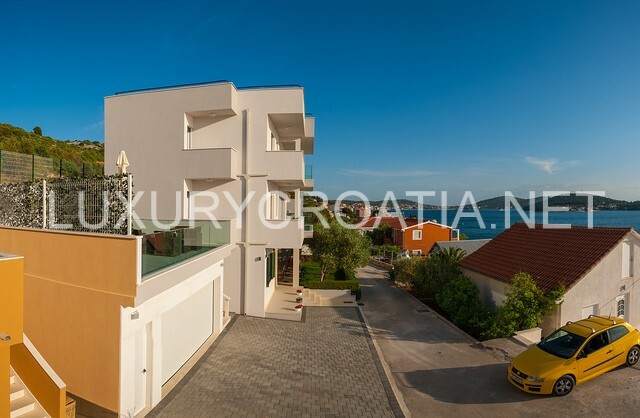 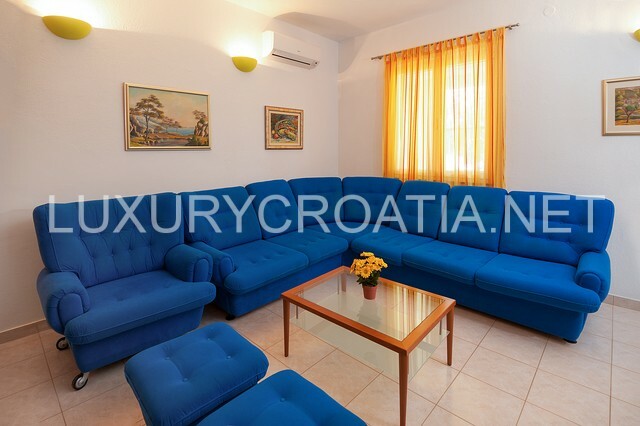 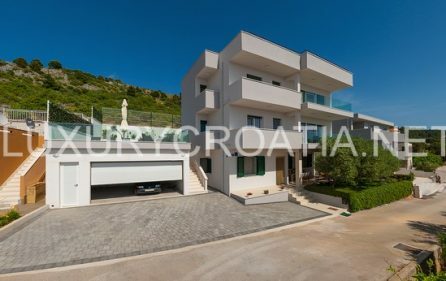 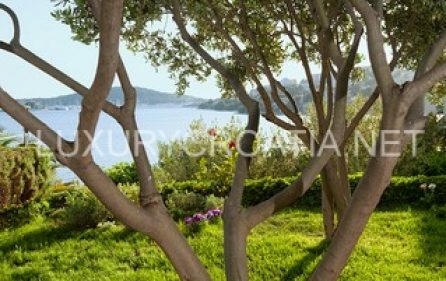 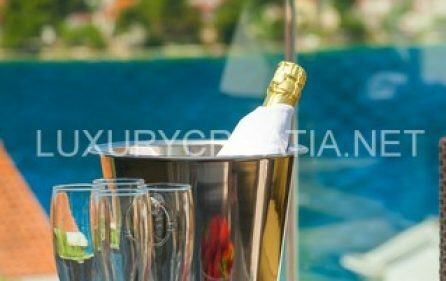 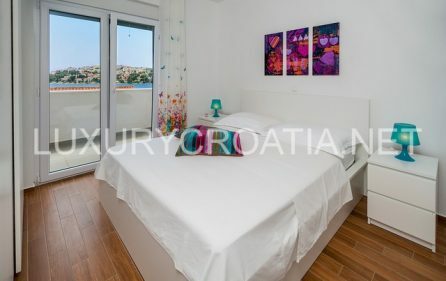 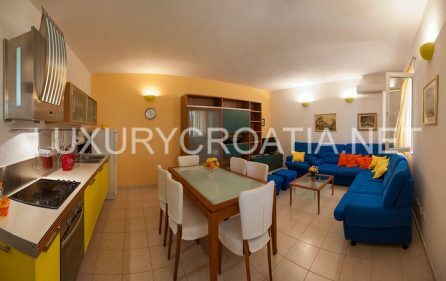 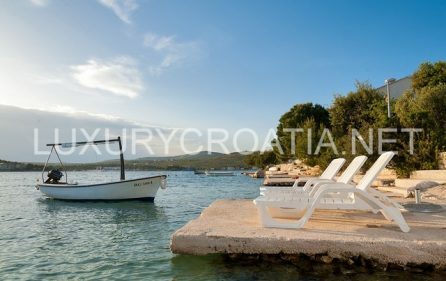 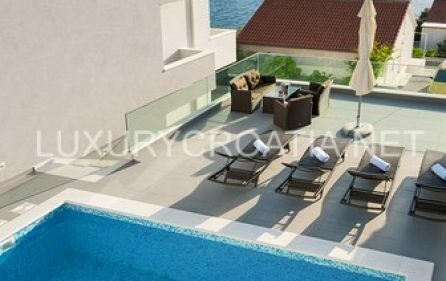 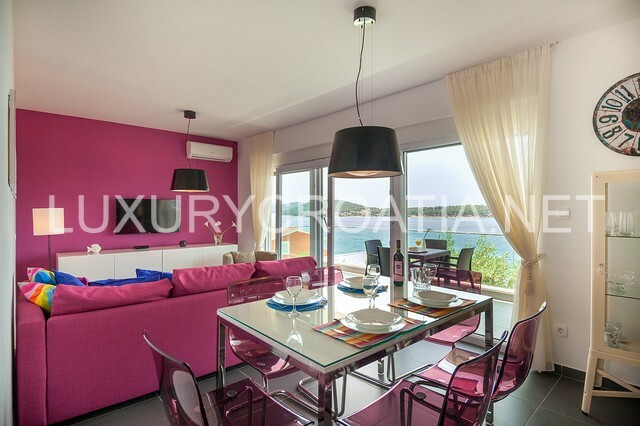 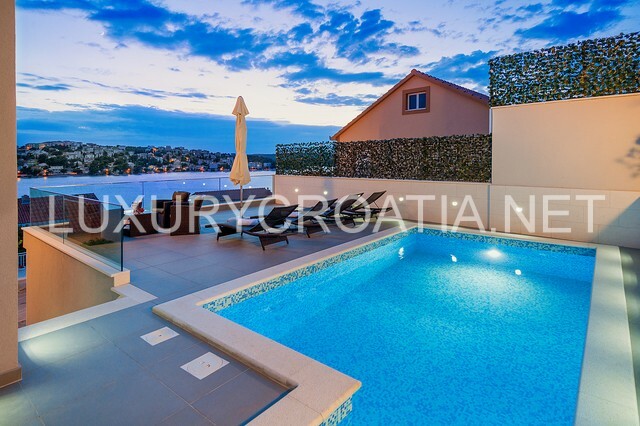 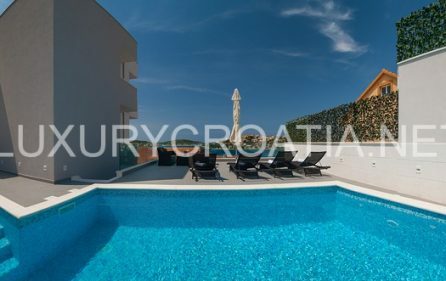 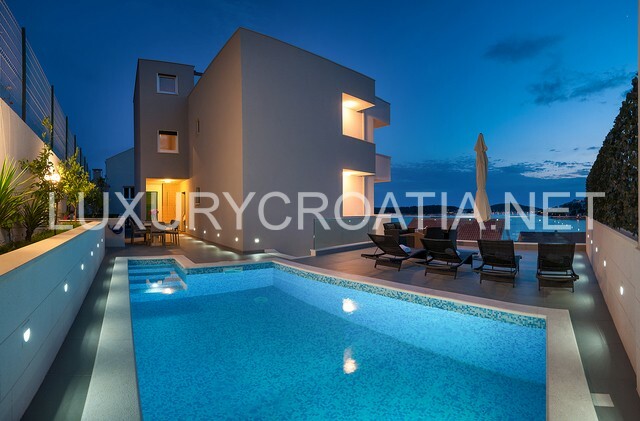 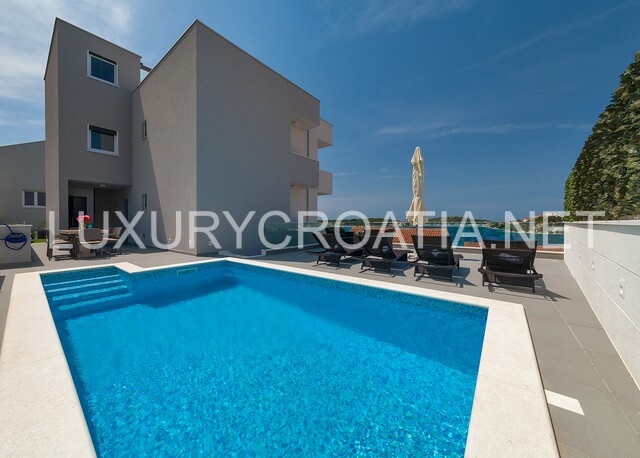 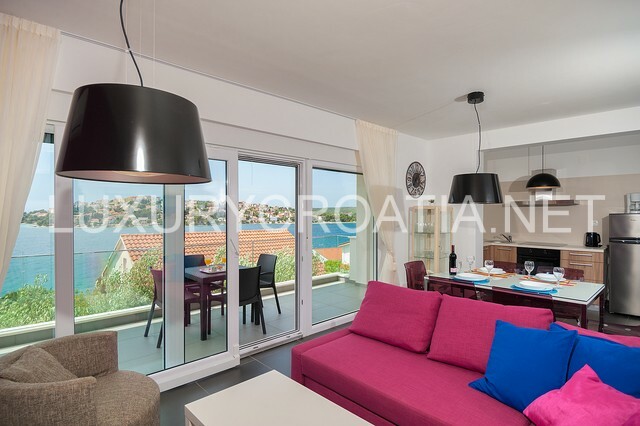 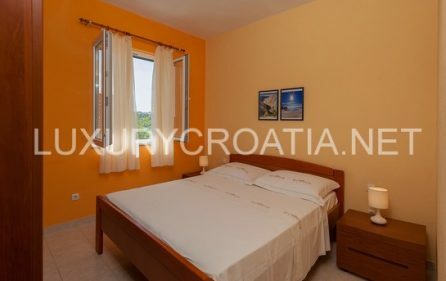 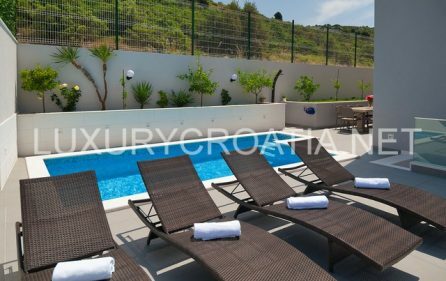 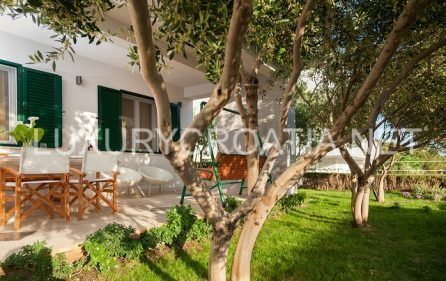 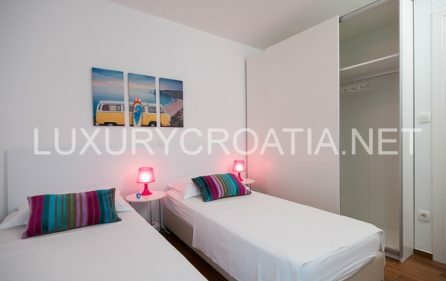 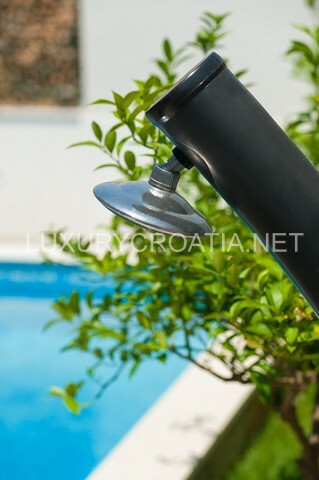 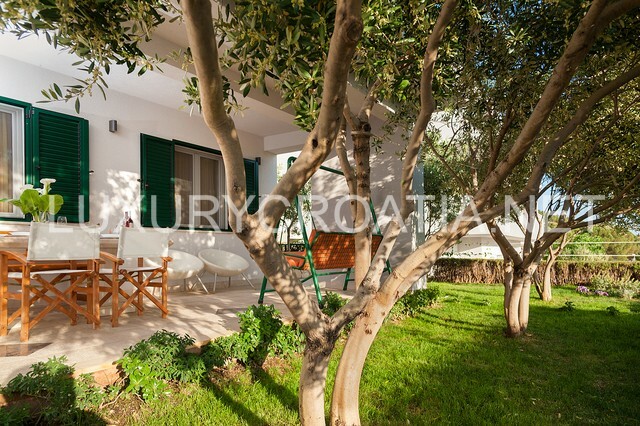 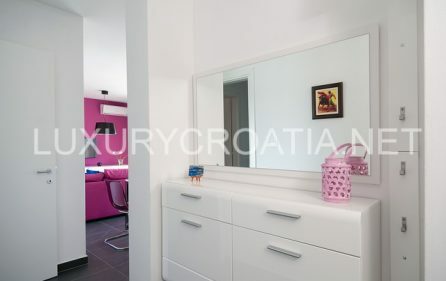 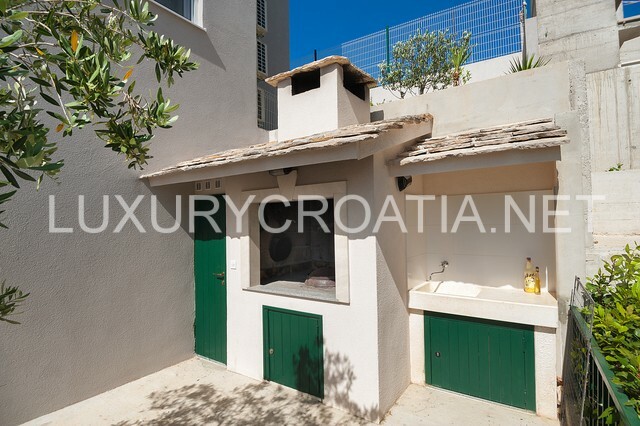 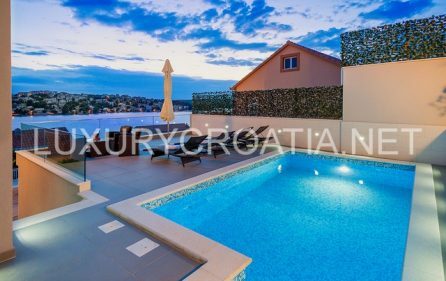 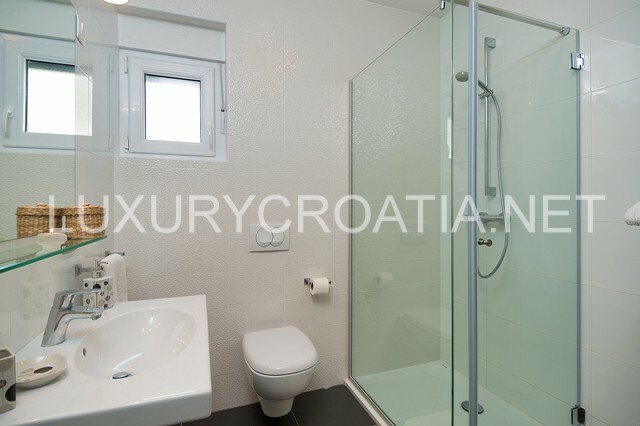 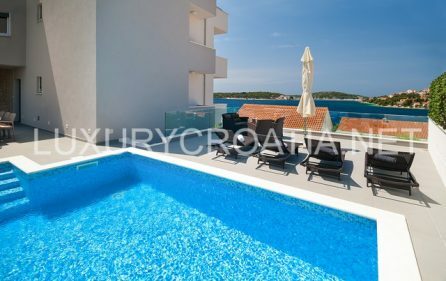 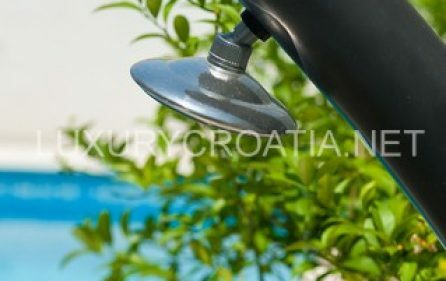 5 Bedroom Sea Side Villa with Pool in Rogoznica -This contemporary villa offers guests the opportunity to enjoy a beach holiday while enjoying stunning sea views along with distant views of Rogoznica town from the fabulous pool terrace. 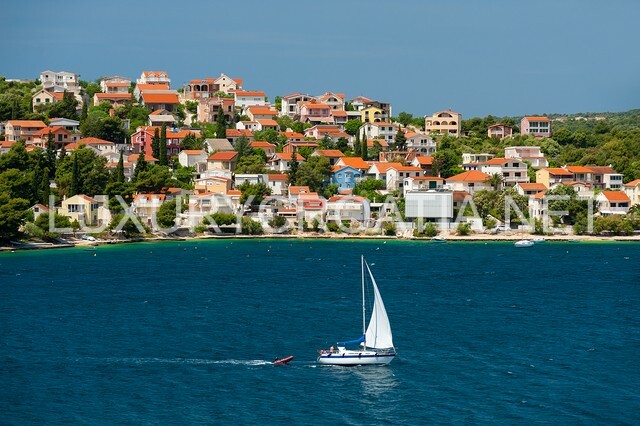 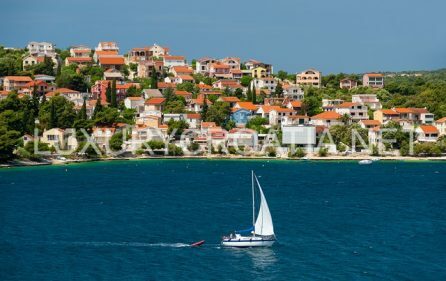 The property also comes with its’ own boat mooring located down on the beach which is merely one minute walk away. 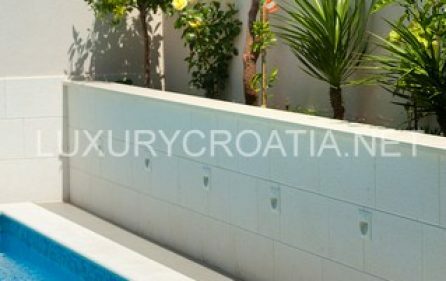 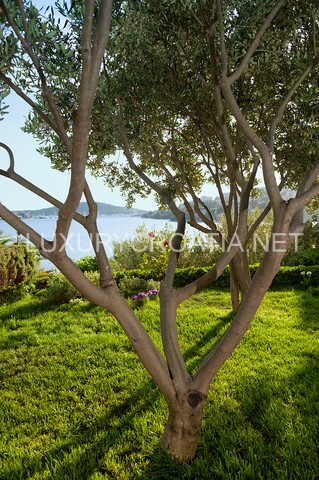 Villa is only 80 meters to the sea and has 4**** category. 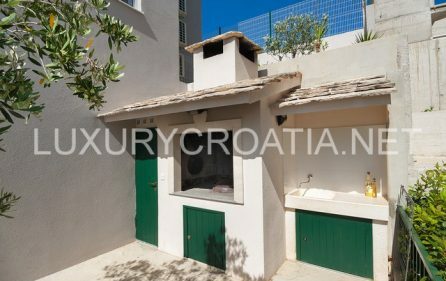 There is also a gym with toilet and mini kitchen. 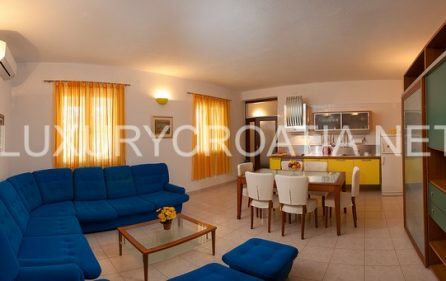 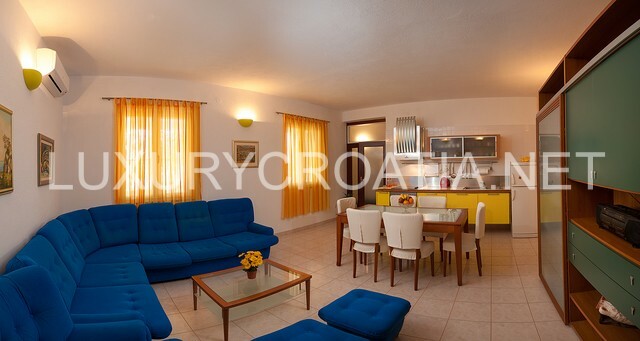 The property is offered as 2 apartments (ground and first floor). 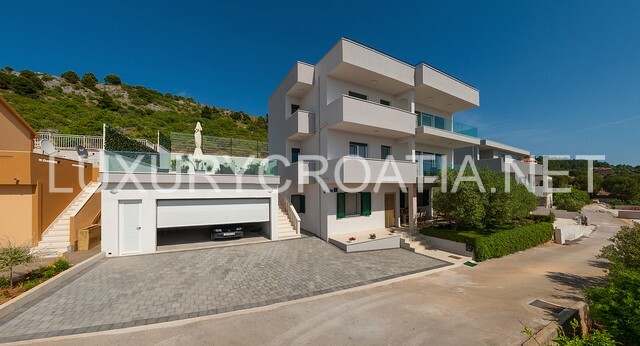 The villa is approached along an access road; parking is located at the front. 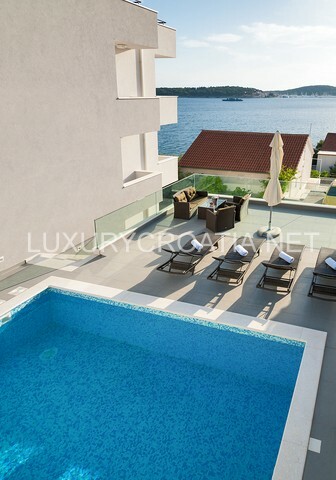 Guests enter the ground floor apartment from a short flight of stairs from the parking area. In front of the ground floor apartment is a covered outdoor dining area with sea view and BBQ to the side. 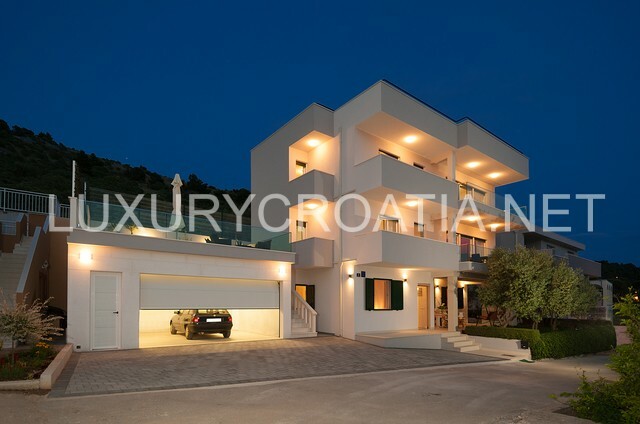 A full flight of stairs from the parking area offers access to the first floor. 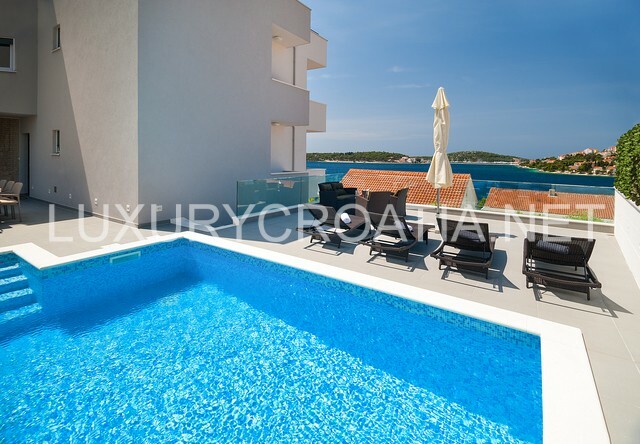 On this level there is the 2nd apartment and the spacious pool area with sun deck. The apartments are not connected internally. 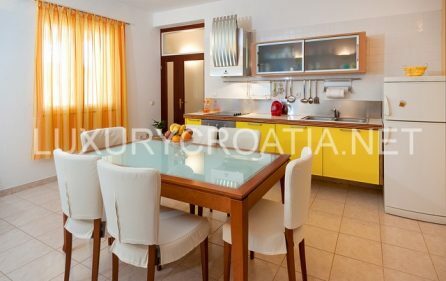 Ground Floor: Open plan kitchen, diner, lounge, 2 double bedrooms, 1 shower room. 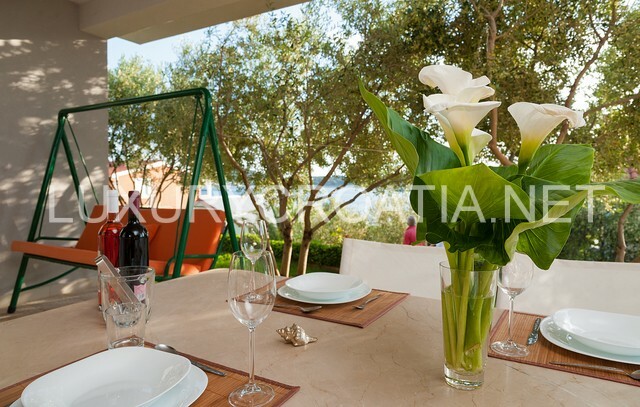 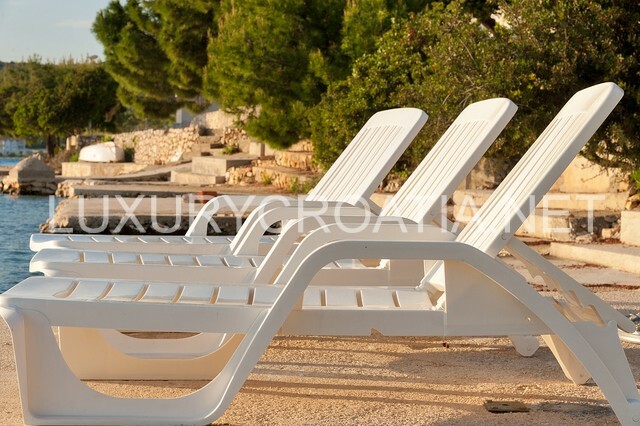 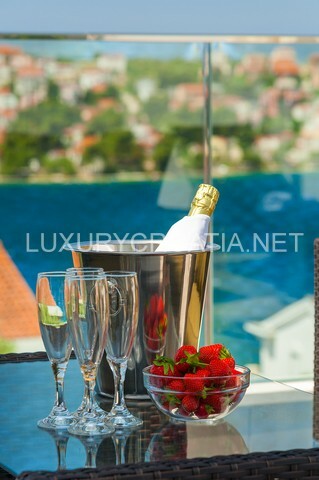 Patio terrace offering sea views located outside the apartment with dining for up to 10 persons. 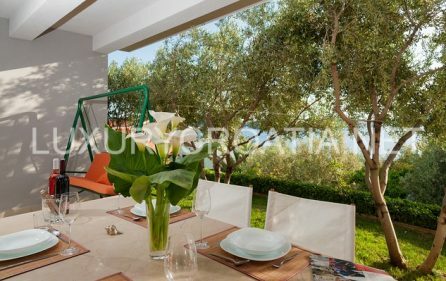 First floor: Guests enter into a hallway leading into an open plan kitchen/diner/lounge with patio doors opening onto a sea view terrace. 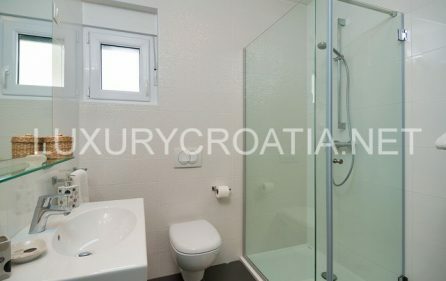 There is also a shower room, double bedroom with sea facing balcony, a further double bedroom with en-suite shower room and a twin room. 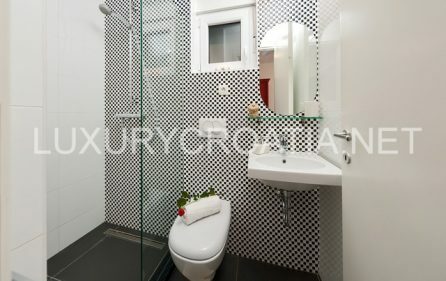 Car hire is recommended when staying at this villa which would suit a family or group of friends looking to relax in a typical seaside village which offers easy access to a number of places of interest in this region such as Krka National Park with its spectacular waterfalls, the historic cities of Zadar, Split and Trogir, all within easy day trips from the villa as well as numerous excursions to off shore islands located in this region.